What’s better than eating one superfood? Eating two superfoods that bring out each other’s biggest health benefits, of course. A lot of components of our daily diets work symbiotically, meaning that when different nutrients get together, your body is able to absorb and use them that much more efficiently than it normally would when it digests them independently. 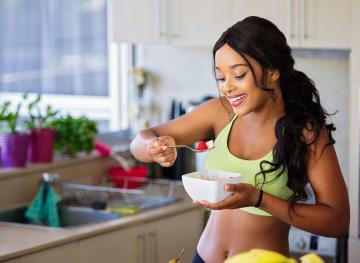 So lean into the following healthy food pairings on a regular basis, knowing that you’re doing amazing things for your health in the process. 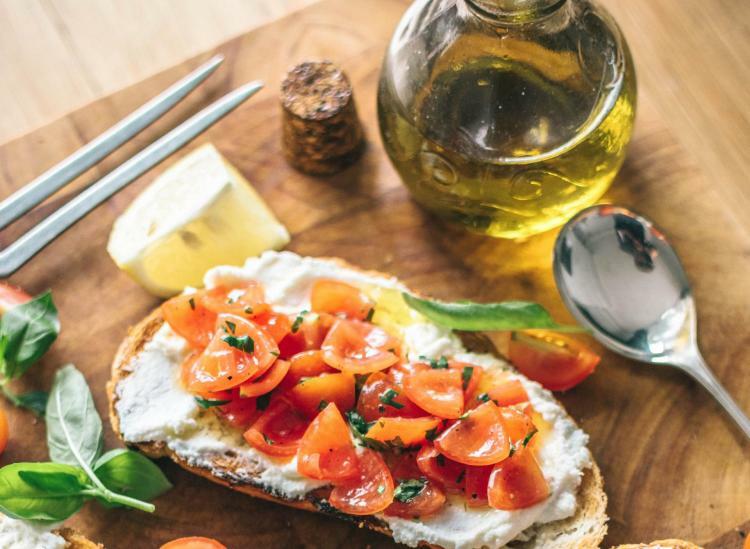 For your body to best absorb lycopene, the powerful antioxidant that gives tomatoes their bright red hue, pair the savory fruit with a healthy fat source like extra-virgin olive oil (EVOO). The nutrient acts like fat-soluble vitamins A, D, E and K, so when you give it the vessel through which it can best be used, you double down on the benefits. Plus, those monounsaturated fats in EVOO are kind to your heart, skin and more. This combo sounds rather indulgent so we probably don’t have to convince you to eat it, but know that when you combine cheese (or another dairy option) with onions in a recipe, you’re boosting your body’s ability to absorb calcium. Onions contain inulin fiber, and that type of fiber helps your body use more of the calcium you consume, benefitting your overall bone mineral mass. Fun fact: When you’re trying to up your iron intake to stave off a deficiency, most doctors will tell you to supplement with vitamin C at the same time because it helps your body absorb iron much more efficiently. 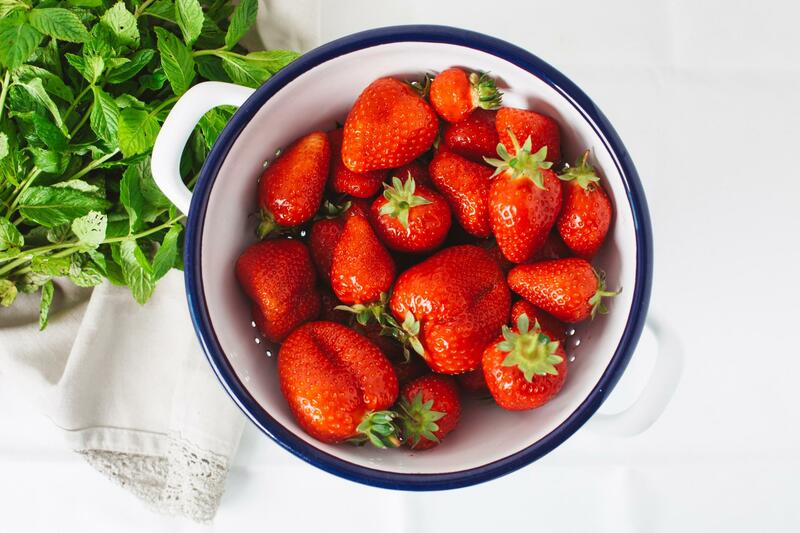 So when you want to create this relationship with your food, reach for iron-rich spinach and vitamin C-packed strawberries. They’re both impressive superfoods and taste amazing together in a salad. Time to give your homemade tuna salad recipe a healthy makeover! When you’re trying to boost your body’s absorption of calcium, pairing it with a vitamin D-loaded food can make the process much easier. Since canned tuna is a legit source of vitamin D and Greek yogurt is a super healthy dairy option full of calcium, try combining the two with a little lemon juice, olive oil, mustard and diced celery for a delicious (and nutrient-dense) lunch option. While you definitely don’t need a lot of zinc in your body (it’s considered a trace mineral), you do need it for healthy vision. It helps carry vitamin A from your liver to your retinas and produce melanin, a protective pigment in your eyes. 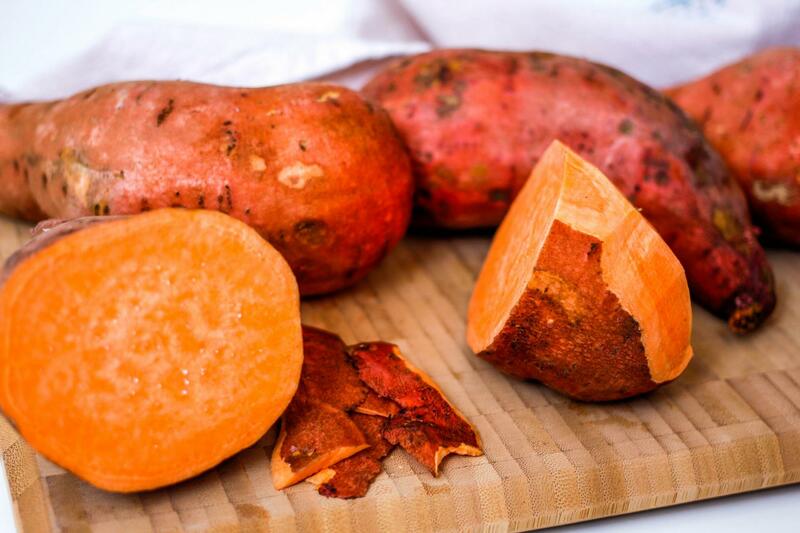 Luckily, chicken is a super accessible source of zinc and sweet potatoes are one of the most delicious, vitamin A-rich foods out there. So pair these guys together in a comforting dinner and know that your lenses are getting exactly what they need. Both sulforaphane and selenium are major cancer-fighting nutrients, but your body really loves them when you eat them at the same time. (Together, they are up to four times more effective than they are on their own.) To take advantage of this powerhouse duo, try roasting some Brussels sprouts and sprinkling chopped Brazil nuts on top for a crunchy, tasty accent. When vitamin B12 and folate (another B vitamin) get together, they help produce new cells throughout your body, as well as break down the amino acid homocysteine that has been linked to Alzheimer’s disease. 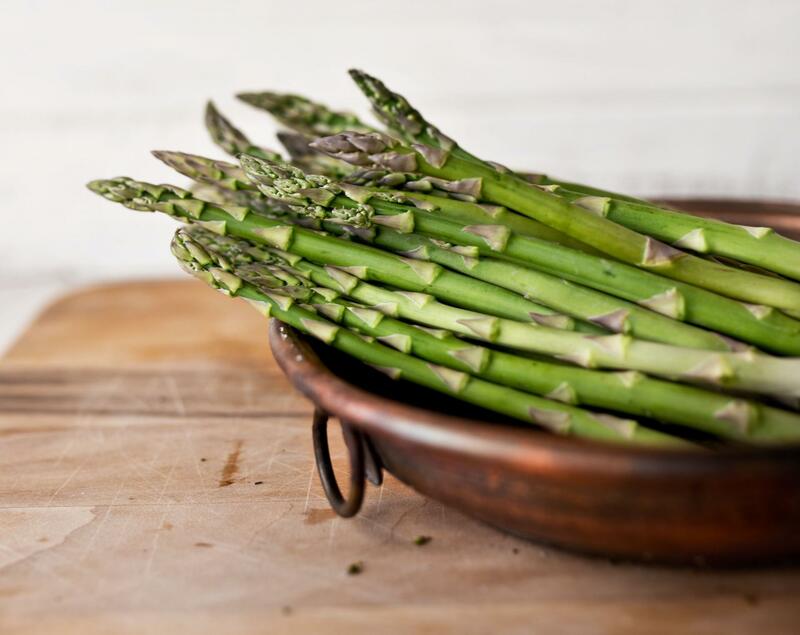 Luckily, salmon is a mega source of B12 and asparagus is loaded with folate, so this natural combo will serve your body well when it hits your dinner plate. You’ve definitely heard that green tea with lemon is a great nutritional pick, but do you know why? Lemon helps your body break down and absorb nutrients in your digestive system more efficiently, especially the antioxidants hidden in a fresh cup of green tea. So squeeze a little citrus into your cup to get the most bang for your nutritional buck. Dessert, anyone? Apples are full of an antioxidant called quercetin, and dark chocolate is full of antioxidants called catechins. When you consume them together, you can better avoid heart disease because these nutrients are great for preventing blood clots and boosting overall heart health. 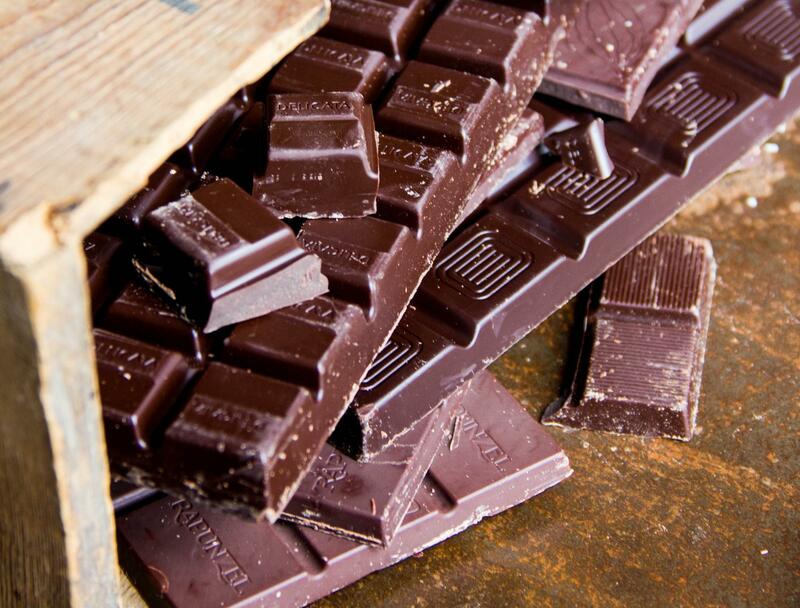 We could get down with this sweet combo every night — especially in the name of our health.